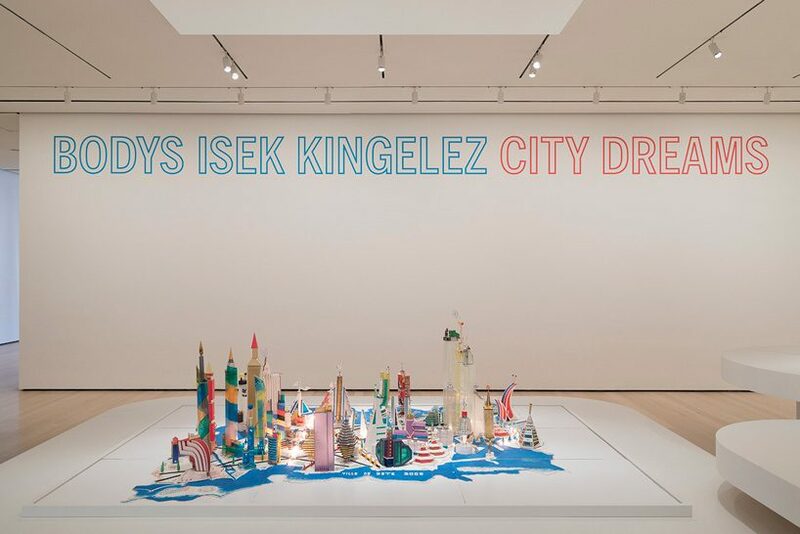 An art exhibition, Bodys Isek Kingelez: City Dreams, is the first US presentation of the Congolese artist’s artwork following his death in 2015, at the NYC Museum of Modern Art (MoMa). 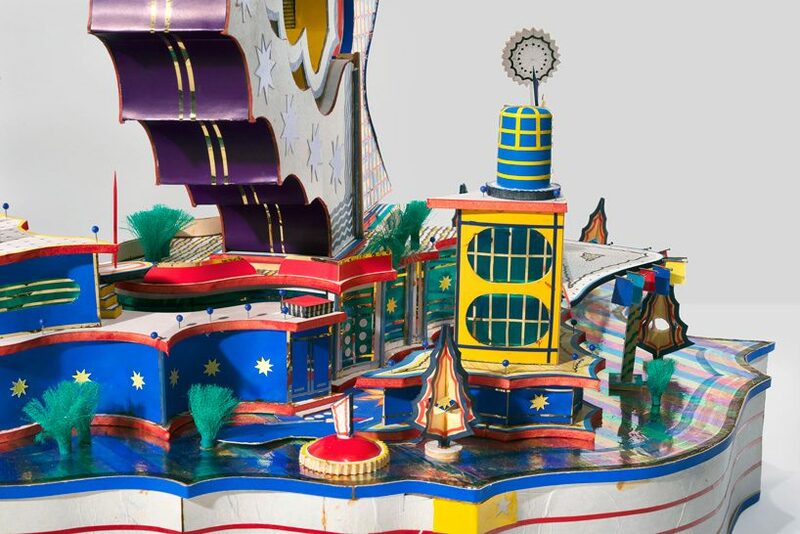 The artist explored utopian possibilities for cityscapes using colorful, detailed sculptures made of recycled objects and materials such as cans, bottle caps, plastic and colored scrap paper. Born in the Democratic Republic of the Congo, the artist started his career in the late seventies, refurbishing and restoring artifacts and traditional items at the Institut du Musee?s Nationaux du Congo before fully immersing himself in his own artwork. 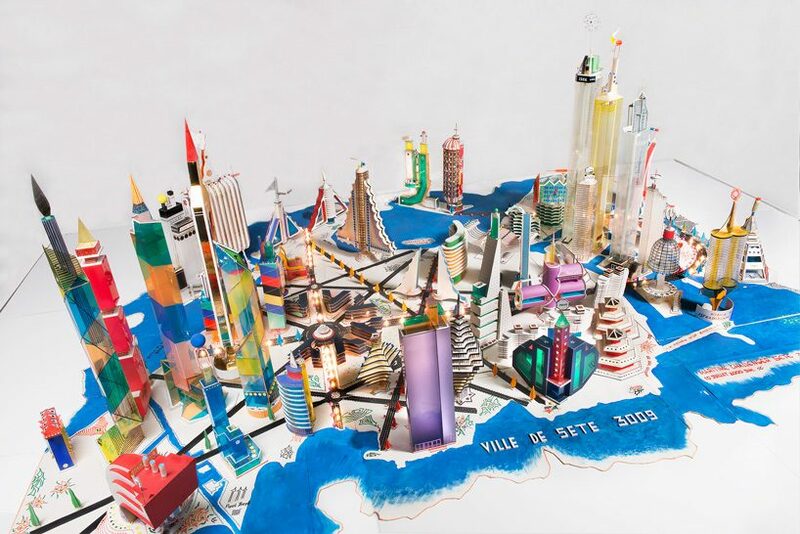 “Without a model, you are nowhere..a nation that can’t make models is a nation that doesn’t understand things, a nation that doesn’t live,” said Kingelez. 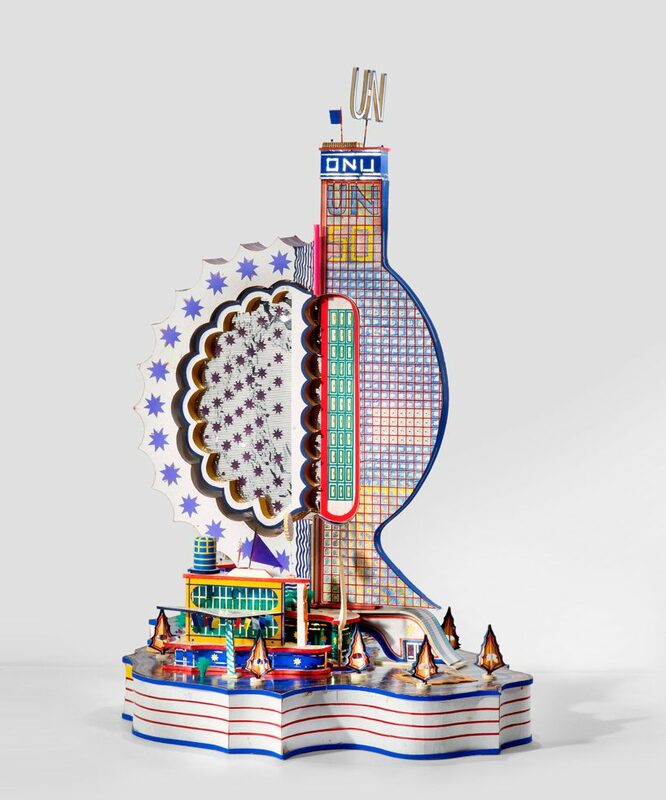 The intricate and fantastical utopian models explode with color and texture, overlapping patterns and hues in one uniquely cohesive conceptual society. Aside from the beauty and creativity behind his artwork, his work explores questions of urban growth, social issues and the power of architecture and design in reviving a community. 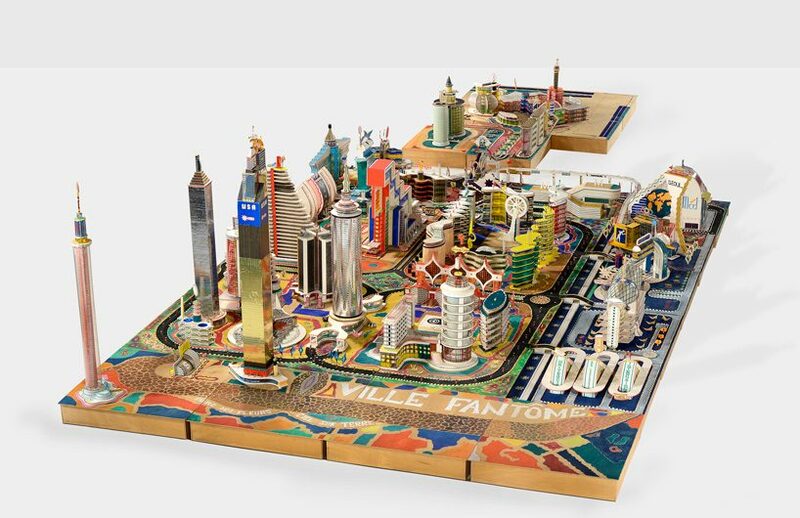 In the complex multi-building cityscape, Kimbembele Ihunga (1994), the artist imagines his home village with many of the advancements, both recreational and economical, as would be in a larger city. 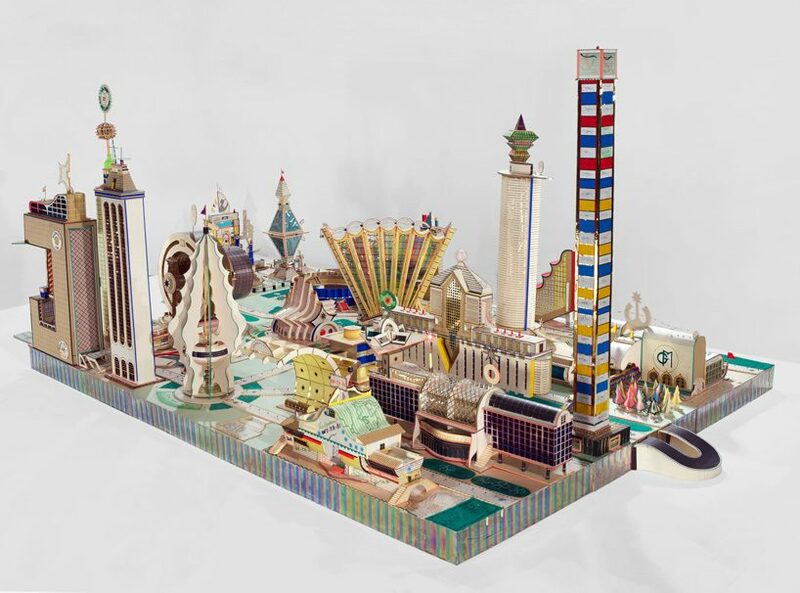 In, Ville Fanto?me (1996), Kingilez creates a peaceful city, self-regulated or free of crime and disease, in which doctors and law enforcement are not needed. 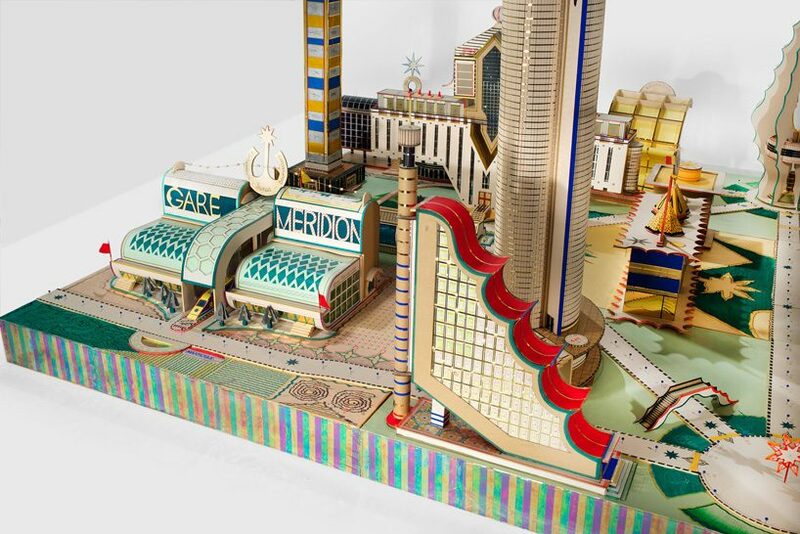 The exhibition, City Dreams, emphasizes the idiom, “one man’s trash is another man’s treasure,” in colorful maquettes of dream societies built using discarded objects and materials.